Our sightseeing tour includes the most significant monuments of Vienna. 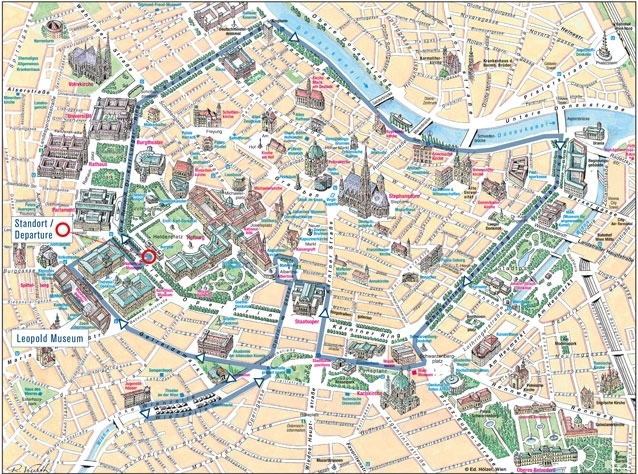 Starting from the Burgtor/Heldenplatz, see the Imperial Palace, the Austrian Parliament, the Court Theatre, the Town Hall and Votive Church. Other highlights are the Church of St. Charles, the State Opera, Albertina Square, Secession building, the Museum of History of Art and the new Museums District. Although driving in a historic coach, you still enjoy the comfort of a modern tour guide communication system. You receive the explanations through your individual headset, adjust the volume to your pleasure. Unfortunately NO public city tours are currently available. On rainy days city tour with a closed oldtimer bus!